Get a $249.20 DISCOUNT FOR A 12-PACK OF SPECIAL 20’s (All 12 Major Keys!) PLUS A FREE HOHNER HARD CASE! 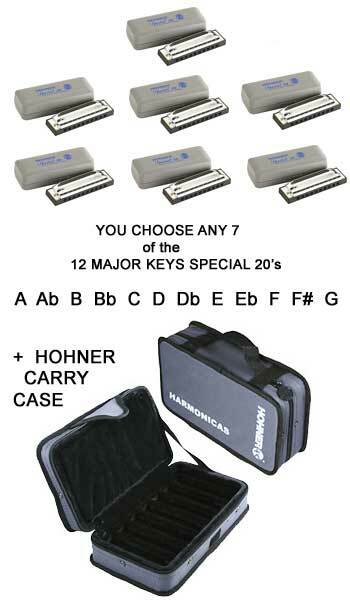 $65 DISCOUNT FOR A 5-PACK OF SPECIAL 20’s (A,C,D E & G) plus a FREE HOHNER SOFT CASE! Can I order 2 of the same key in the 7 pack?